My wife and I had the pleasure of taking a Garden Tour this past weekend. 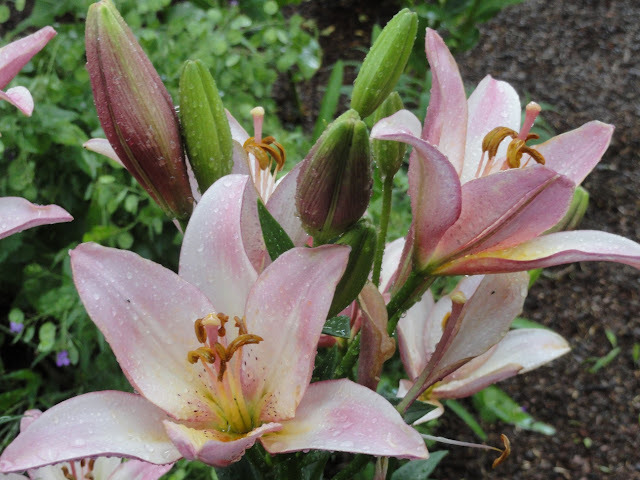 The 13th Annual Down the Garden Path tour sold tickets to visit nine gardens as a fundraising effort for the Lupus Foundation of America, Mid-South Chapter. All in all, it was a wonderful day. True, the heat and humidity were a little oppressive around noon, but a tremendous hail/lightning/thunder storm dropped the temperatures by 20 degrees in the early afternoon and made the rest of the tour much more comfortable. Lacecap Hydrangea (Hydrangea macrophylla normalis). I really liked the lacecap, but my wife liked the mophead ones better. Which do you like best? Koi pond with water plants. 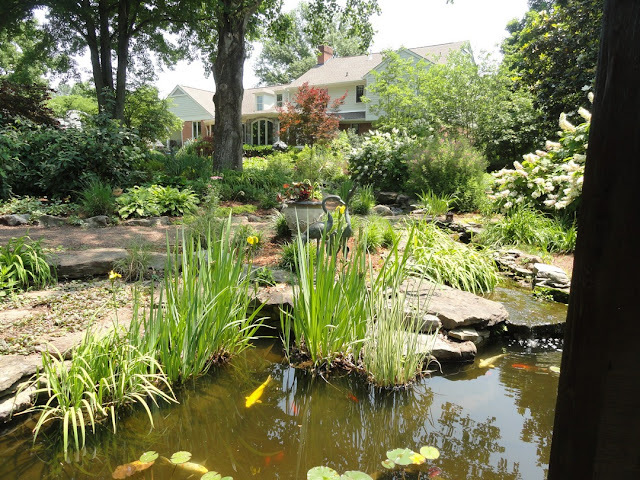 Notice the heron statues behind the pond in the center of the photo. According to the owner of this garden, herons are territorial birds. Most of the time, if a heron flies over and looks down and sees what looks like another heron, it will bypass the garden, sparing the fish. Close-up of the heron statues. Heron statues can ward off real live herons, which are solitary and territorial birds. 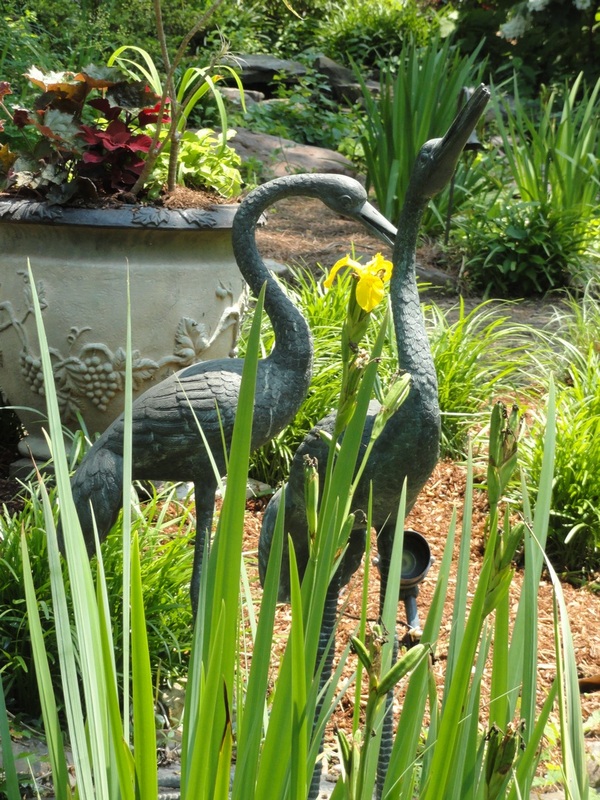 The only problem is that the statues may actually attract herons during mating season. Hibiscus. 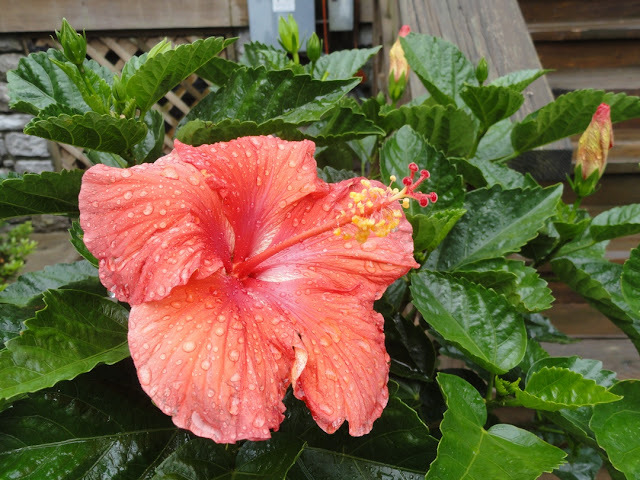 Lots of people think that hibiscus is just a tropical flower, but hardy hibiscus (a.k.a. Rose of Sharon) plants are hardy perennials that can tough it out as far north as Zone 4! Elegant fountain in shady woodland garden setting. This fountain was crushed by a falling tree that was uprooted in a storm, but the owner had the fountain rebuilt and restored to working order. 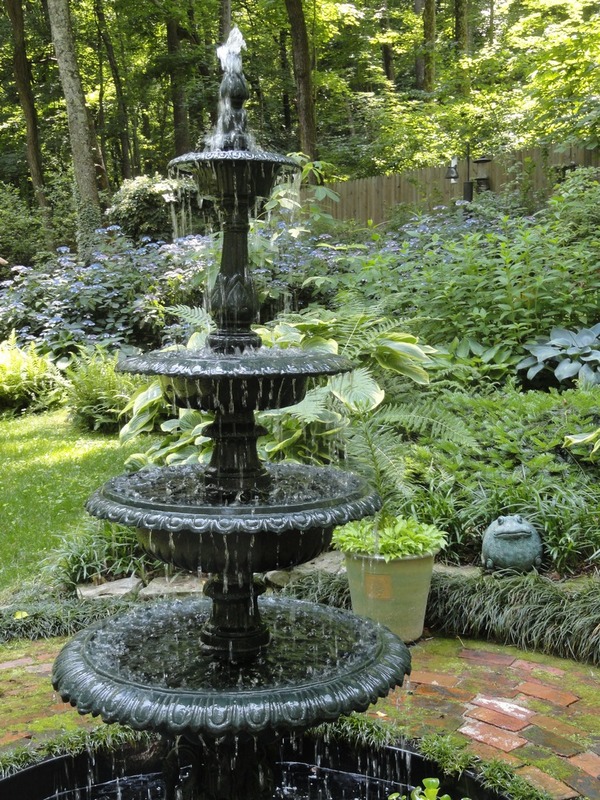 I feel like fountains can have a cooling, soothing effect in any garden. Close-up on the big frog sitting next to the fountain. 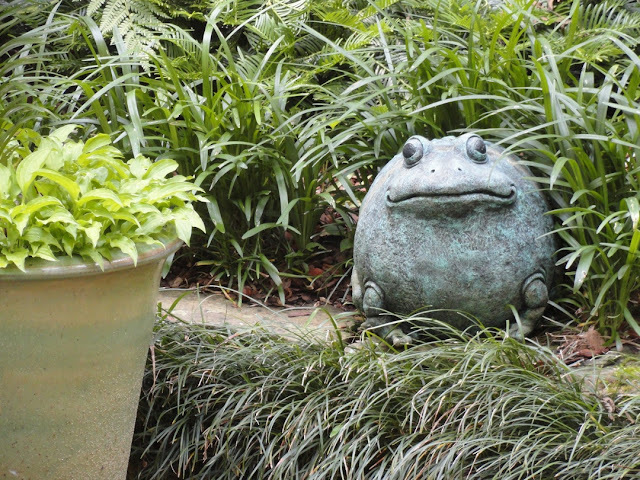 Used with restraint, statuary can enhance a garden. 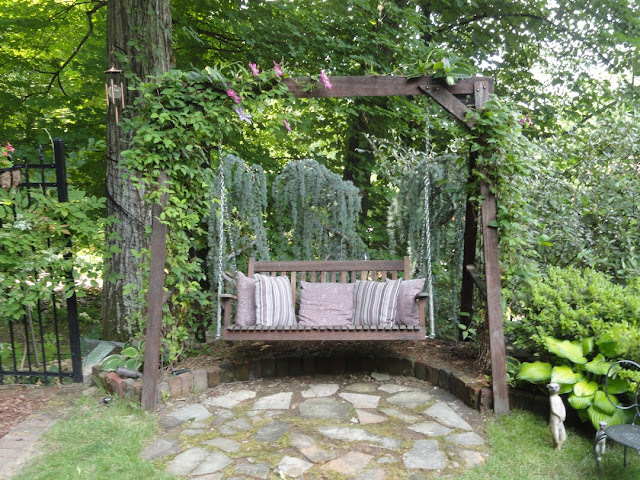 Here it adds a touch of whimsy. 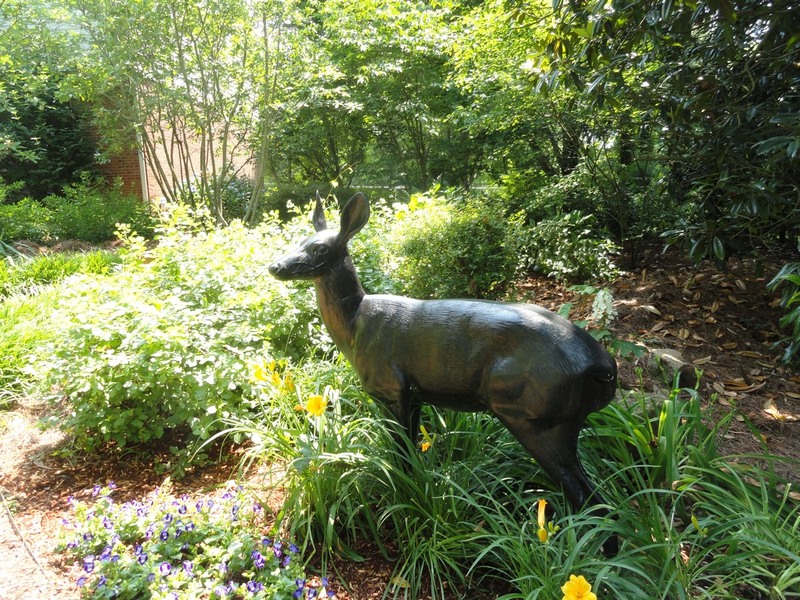 We came around a bend in one garden and found ourselves facing this realistic deer statue. I loved the positioning and realism of the statue, although personally I think we have so many real, live, plant-destroying deer in Tennessee that I wouldn't erect a statue to one in my garden! Next to this plant was a sign that read, "Ugly plant. 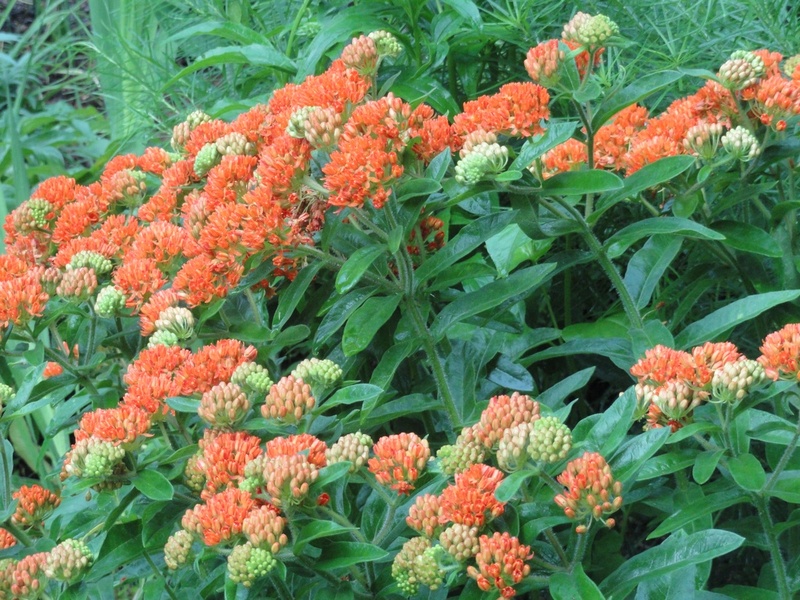 Beautiful blooms only one night per year." This, my friends, is the Night-Blooming Cereus. Actually a type of spineless, climbing cactus, Cornell says a mature (4 or 5-year old) plant should bloom every two weeks from midsummer to autumn. The flowers are supposed to be extremely fragrant, but you had better be a night owl, because they don't reach full potency until after midnight. 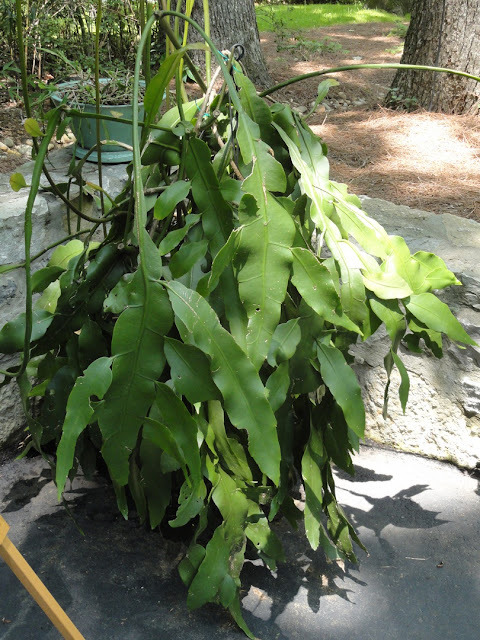 Not at all frost tolerant, it seems like Cereus would have to be grown in a pot in Tennessee and brought indoors over the winter. In frost-free parts of Florida, the plant can apparently climb as much as 40 feet. Inviting bench swing with several types of clematis vines. Notice the adjacent meerkat statues. 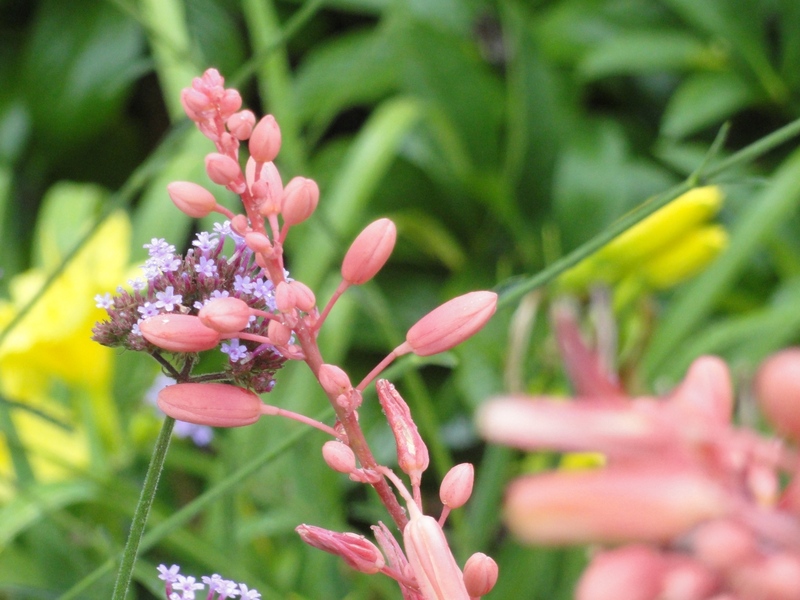 Unknown pink flowers leaning against tall verbena. Wish that the gardener had been around to ask about the plant ID. Unknown flower. Maybe a type of Monarda? 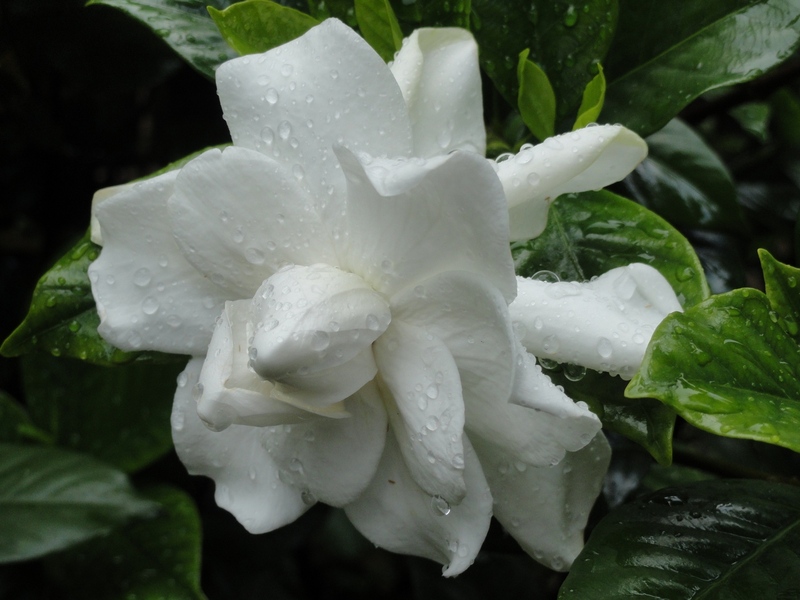 Hardy Gardenia. 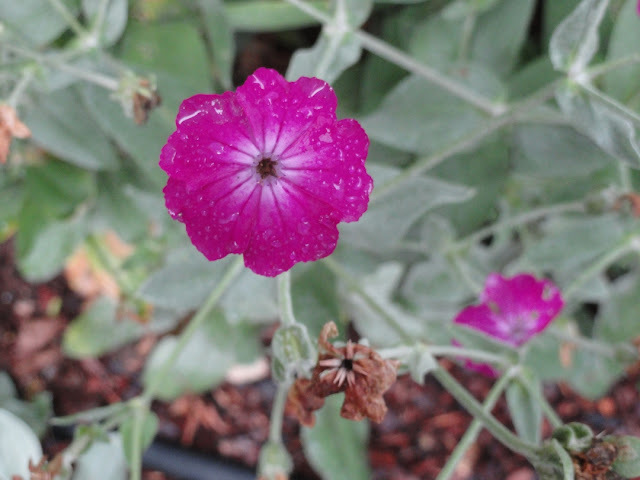 This plant had an incredible fragrance! We actually visited this garden twice, primarily to spend more time lingering and burying our noses in these flowers with their heavenly scent! Close-up on gardenia flower. 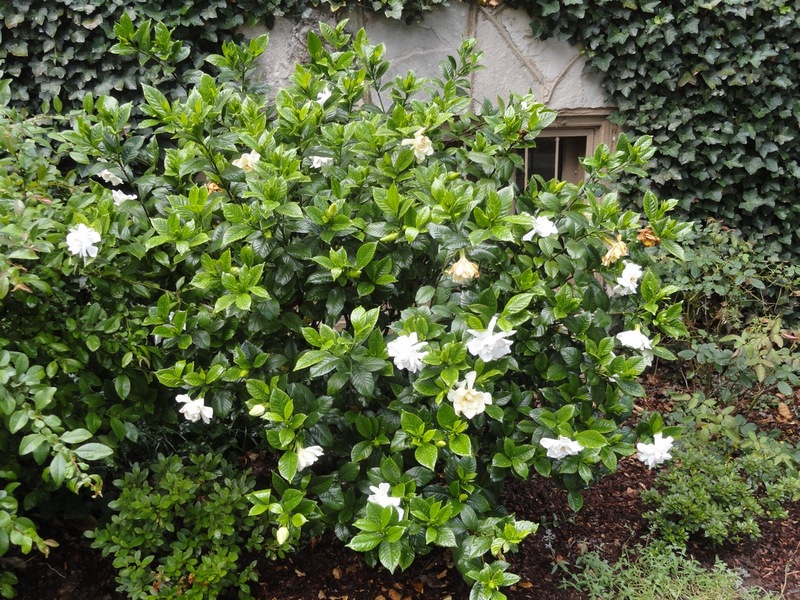 Middle Tennessee is supposed to be right on the Northern edge of the hardy gardenia's range, but I may have to try growing one in a protected spot for a chance at inhaling that perfume again. Such beauty! I wish I could've gone on the tour too. That fountain is a keeper so glad it was fixed. I also love that patio. The hydrangea-awesome! Very nice photos too. Take care. Beautiful garden, love all the flowers, fountain, tall ferns.. They look like ostrich ferns. 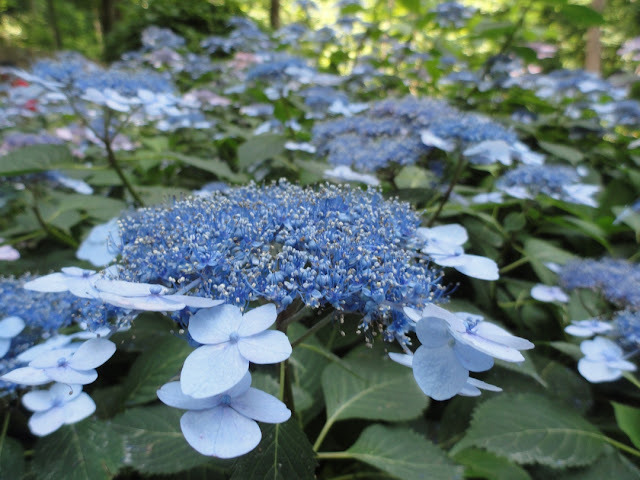 I recently posted a few hydrangea flower pictures and Japanese iris pictures, check it out.